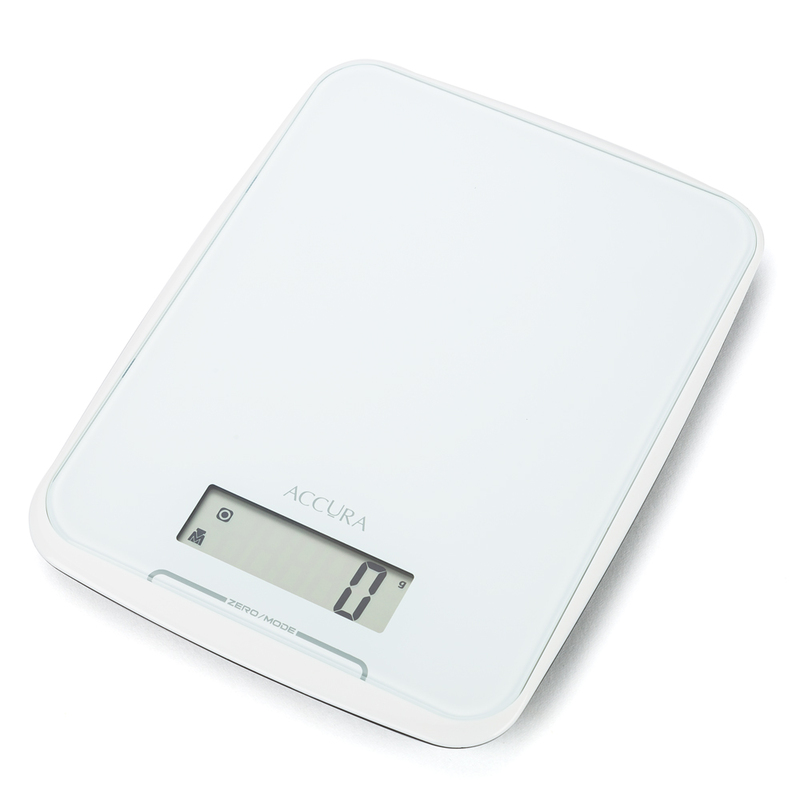 Accura Kitchen Scales are designed with scrupulous and precise chefs in mind, and the Athena Electronic Kitchen Scale is no different. With a tempered glass platform that allows for accurate and hygienic measurement of ingredients, the Athena Electronic Kitchen Scale measure both liquid and dry ingredients up to ten kilograms. It even features an in-built clock and display stand, so you don't have to worry about a thing! Allows for accurate measurement of ingredients. Digital scale measures both liquid and dry ingredients. Measures up to 10kg (10 Litres) in 1g (1ml) increments. Switches between metric and imperial units. In-built clock and display stand. Dimensions: 18cm (w) x 24cm (h).